Many of our members, guest, as well as members of our Interact Clubs from RL Turner and Newman Smith gathered at City Hall to complete our tree planning project for 2017/2018. 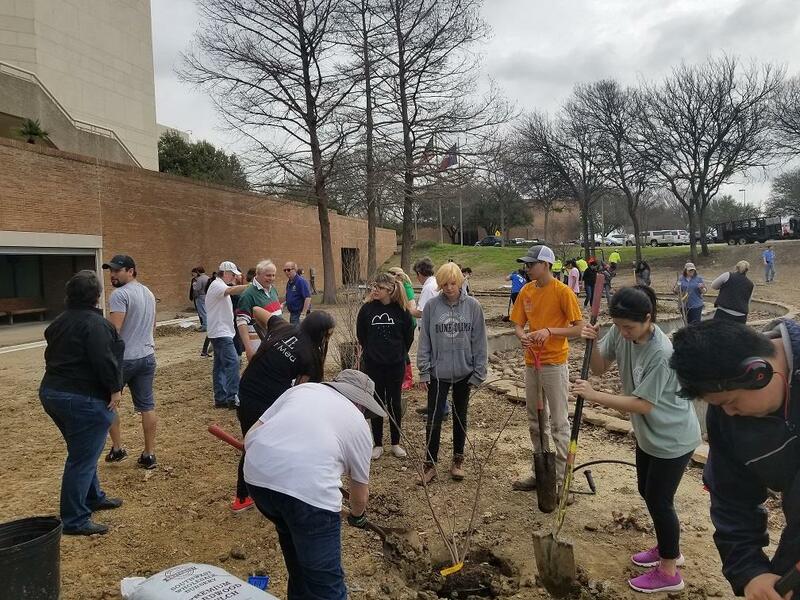 This was part of our goal to plant 62 trees, one for ever member as of June of 2017, in both Carrollton and Farmers Branch. 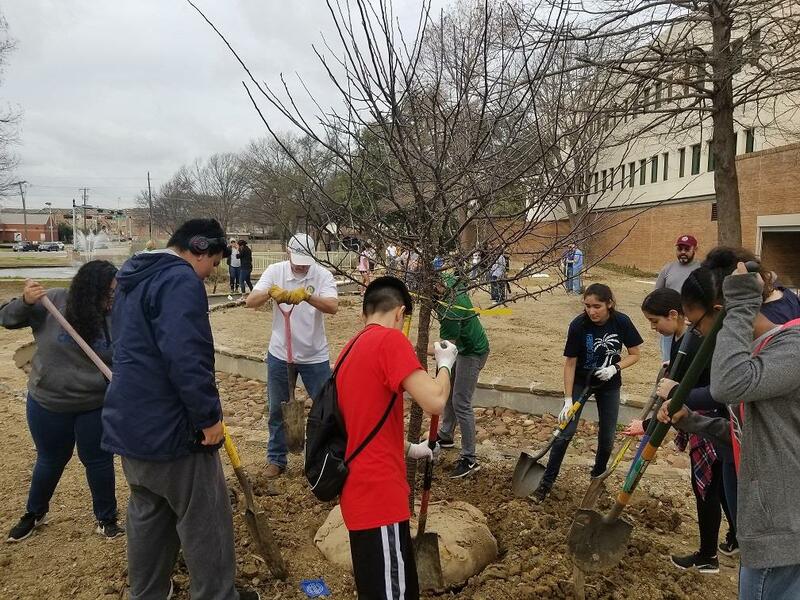 A total of 31 trees was planted in Carrollton and 31 trees planted in Farmers Branch last year. Many of the trees in Carrollton were planted at Rosemeade Recreation Center in the new Dog Park. We had lots of help with City of Carrollton landscape crews and Lorri Dennis, Certified Arborist. Click on Album to see the Slideshow of pictures.